The U.S. House of Representatives has approved the conference report for the 2014 Farm Bill by a vote of 251 to 166. The farm bill conference committee approved the conference report for the bill on Jan. 27. A U.S. Senate vote is expected next week. The U.S. EPA has announced it is granting petitions filed by the American Petroleum Institute and American Fuel & Petrochemical Manufacturers for reconsideration of the cellulosic biofuel volume requirement under the 2013 renewable fuel standard. The U.S. EPA has published renewable identification number (RIN) generation data for December and all of 2013, reporting that the biofuel industry generated nearly 16.62 billion RINs last year, including nearly 1 million cellulosic RINs. The public comment period on the U.S. EPA's proposed rule to set 2014 volume requirements under the renewable fuel standard (RFS) closes on Jan. 28 at 11:59 p.m. Already, more than 15,500 comments have been filed on the proposal. 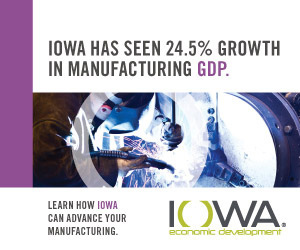 The Iowa Renewable Fuels Association has released the results of an economic impact study conducted by John Urbanchuk of AVF Economics that highlights the impact of the renewable fuels industry on Iowa's economy. Valero Energy Corp. has announced its financial results for the fourth quarter of 2013, reporting net income attributable to stockholders of $1.3 billion. The company's ethanol segment earned a record $269 in operating income during the quarter. he U.S. Farm Bill is a five-year piece of legislation that typically takes six years to develop and reach consensus among U.S. senators, representatives, and the president. Orchestrating this feat is nothing short of a miracle. Dyadic International Inc. has announced that the expansion of its research laboratory in The Netherlands is complete. Increased space allows for the installation of a range of state-of-the-art research equipment, including a new fermentation lab. The European Renewable Ethanol Association (ePURE) has filed a complaint with the European Commission's office of complaints with a view to stopping the circumvention of EU anti-dumping duties on fuel ethanol. A recent analysis published by economists with Iowa State University's Center for Agricultural and Rural Development determined that maintaining the renewable fuel standard (RFS) would not result in higher retail fuel prices for customers. A fuel of the future is being introduced to the streets in a fleet test launched by the joined forces of Clariant, Haltermann, and Mercedes-Benz. The Clariant sunliquid process converts wheat straw into cellulosic ethanol. The Renewable Fuels Association and the Renewable Fuels Foundation are proud to announce the National Ethanol Conference scholarship winners Gavin Kenney, Tyler Machado, and Aaron Walsh. The 2014 NEC will be held in Orlando, Fla., in February. Job creation, higher wages and investments in the U.S. education system were a few of several focus points during President Obama's State of the Union address, which reiterated the administration's "all-of-the-above" energy strategy. The agriculture committees of the U.S. House of Representatives and U.S. Senate have announced a bipartisan agreement on a new five-year Farm Bill. The House is expected to vote on the measure on Jan. 29, with a Senate vote expected soon after.